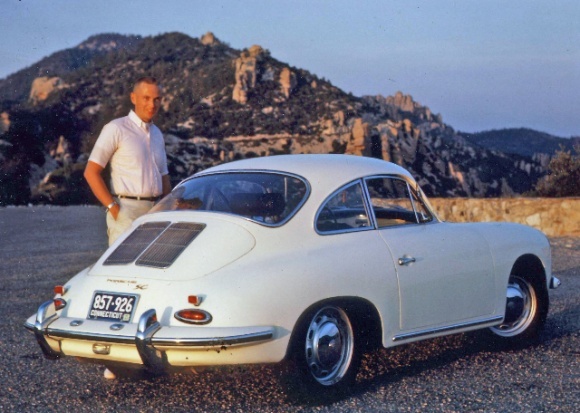 Porsche nailed it when they built the 356. Even today they are a beautiful looking motor and in my opinion are getting a new life with the Outlaw scene. Check some examples out here. The above 356 is a one owner find on Bringatrailer.com. The gentleman selling it purchased it new in Connecticut in May 1964. He then drove it all the way to his new Air Force post in southern Arizona and took this on the way there. The car is sold but you can read the story and see more photo's of this awesome car here. You might wonder way I think it's awesome. I love stories like this. Cars that were brought new, looked after, and are then sold with love as it were. Very cool. I hope I can do the same one day.